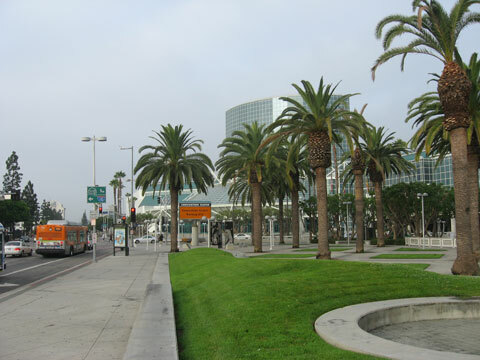 I attended SIGGRAPH 2008 in Los Angeles, U.S. For me, being a designer, Siggraph is quite technology oriented. It was interesting to see that there often is several approaches to resolve a problem in one particular research niche. The "New Tech Demos", 1-minute teasers for upcoming talks, presented innovative technologies and applications in fields such as displays, robotics, input devices, and interaction techniques. There was still some more artistic stuff to discover: The Siggraph Computer Animation Festival presented computer-animated movies and offered events with invited speakers such as Frederick Back and a Stan Winston celebration night, or the Pixar documentary. Also interesting is the FJORG! animation movie competition, 16 teams of three had to create a movie in 32 hours to the subject "The saddest story ever told", "Red Truck" was selected to be the winner movie. 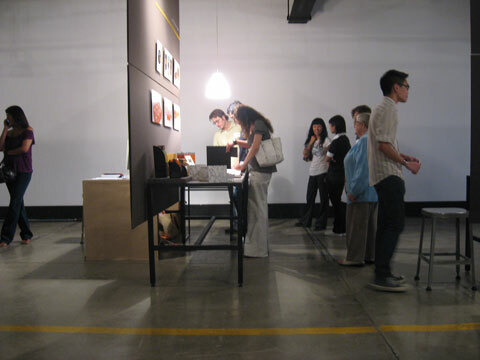 I enjoyed Art & Design Galleries and New Tech Demos. The Studio offers to test new hard and software, where I almost printed a 3D rapid prototype with help of mentor Benjamin Shell. Poster presentations could be viewed all over the conference venue which is the L.A. Convention Centre. "Life is Meaning", my personal project, was presented in the poster category "visualization" as well. I also had the chance to be invited by my friend Milka Broukhim to Art Center College of Design in Los Angeles Pasadena’s term exhibit and see some excellent design work of graduating students. And of course I had some fun discovering L.A. with Mexican influenced Downtown L.A., Venice Beach and more.